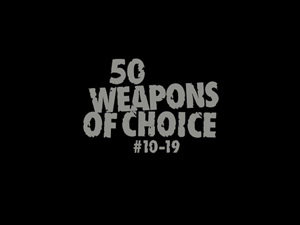 50Weapons, the Berlin techno label headed up by Modeselektor recently announced that it would be closing up shop after it’s 50th release and the countdown is underway with this release by Phon.o – #41 in the label’s grand finale which is a split release with Paula Temple. Check out the video for the cool new song collaboration from Modeselektor and Thom Yorke with visuals created by FutureDeluxe. Fresh from Modeselektor’s Monkeytown Records comes this unmixed 10 track compilation filled with quality tracks – a sick, mash of dark techno, dub and uk funky dance floor influences. Close your eyes and listen to this on a proper sound system and it’ll be as close as you can get to being in one of Berlin’s infamous dance clubs without the hassle of being felt up at the airport….well, at least for an hour.